Find the best youth flag football leagues for kids, including pickup games and tournaments, in the state of Arizona. 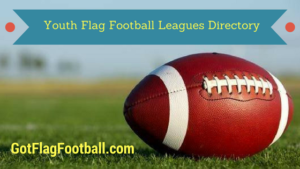 Below, parents will find the most up-to-date for 2019 list of fall, winter, spring and summer, indoor and outdoor local flag football leagues for boys and girls, as well as pickup games and organizations that offer tournaments, in order from the highest to least populated cities and towns in AZ. 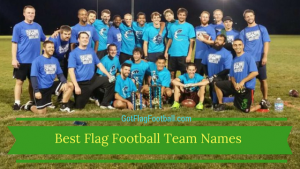 GotFlagFootball.com brings together the local Arizona youth flag football community of city recreational leagues, organized independent leagues and tournaments in on alphabetically ordered list, so that it’s convenient to find a game for your child, in an area near you. One Sports Nation aka Grid Iron Flag Football offers a variety of leagues to kids throughout multiple states and specifically in Arcadia in the Phoenix area. 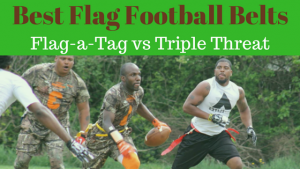 This league is an NFL Flag Football affiliated league. Youth are encouraged to develop rather than pressured to make it pro. PrimeTime Athletics runs competitions in all four seasons of the year, and has a number of age groups, ranging from 5-6 year olds through to 13-15 year olds. The games are 5v5 and are played outdoors. NFL team jerseys are provided to every player by the league. PrimeTime Athletics Chandler offers fall, winter and spring seasons of NFL approved youth flag football action to boys and girls ages 5 to 17.
i9 Sports runs a number of flag football leagues for different ages. They offer leagues for 7th and 8th graders, as well as leagues for 4 year olds through to 6th graders. All leagues are played from September through to November, and matches are played on Saturdays. Boys and girls are welcome. PrimeTime Gilbert provides organized kids flag football leagues for players ages 5-17 years of age. Every spring, winter and fall season, parents seeking youth flag football leagues for their children turn to PT Gilbert to supply the NFL approved action.